Check out these questions! Even funnier, the fact that she sent them on to an aide to "formulate very short answers" to them. Gov. we have people jumping in front of trains and out of buildings over the economy, over money how do we get back to having our priorities right, where family, kids are most important? Gov. can you tell us anything about the suspected arson investigation of your church. It's disappeared from the news. We hear a lot about the economy but Alaska appears to be doing relatively well--how is Alaska's economy going to do if oil and gas prices continue to fall? What does Washington need to do to get our economy going? You've seen national politics--you've lived it--is political common sense dead? I don't want to get my oil from our enemies. When do we start getting gas from the new pipeline you worked on making happen? Partisan politics are crazy in Alaska and everywhere else. How do we get passed that--I'm asking you because you weren't afraid to take on your own party, have a very high approval rating and have Democrats in your administration. Do you consider Mr. Obama your President? The people who are active and want to be involved--they don't know what to do anymore--the calls and letters don't seem to work--what can they do? Alaska is a neighbor with Russia. It seems that it's got a new change from the Soviet Union and that's all. It seems like nothing has changed with Putin in charge am I wrong? Are you concerned about what appears to be a global push to discredit capitalism? WHERE ARE THEY NOW? 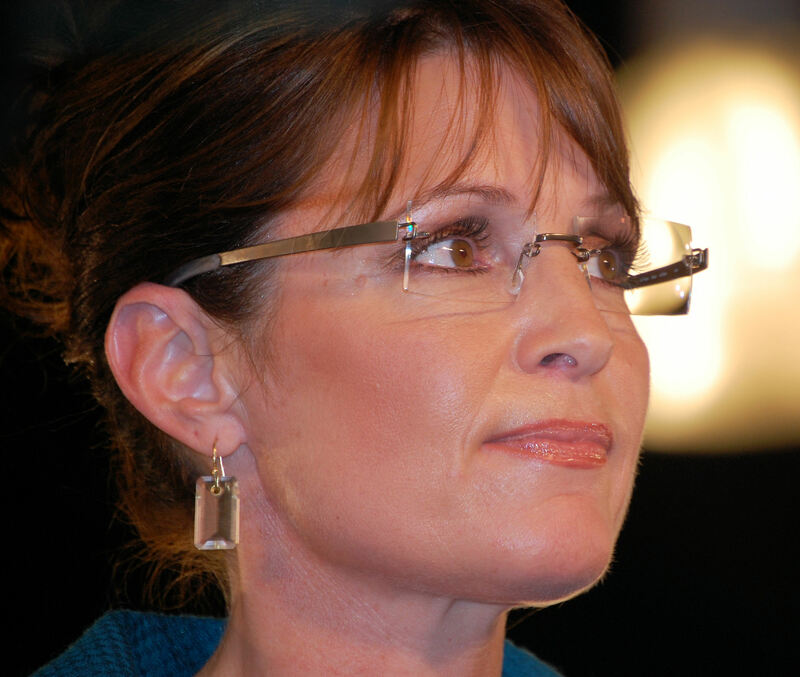 Astute historians will remember: Within six months Sarah Palin resigned as governor of Alaska. Within 6 months of that she was hired by the Fox News Channel, which built a mini-tee vee studio in her Wasilla home. Avid fans are still waiting for Part Two of “Real American Stories,” which a Fox “News” press release promised would be “a series exploring inspirational real-life tales of overcoming adversity throughout the American landscape…” Within another year and a half Glenn Beck would be gone from the Fox News schedule. As of this writing, a mere six months after Glenn Beck headed off into the web only obscurity of GB[L]TV, Sarah Palin appears to be somewhat of a spent force in ‘Merkin politics, not nearly as influential as she once was, although she remains a Fox “Contributor.” How much longer is one of those open questions. Based on her waning popularity this could be Mama Grizzly’s last election cycle raking in the News Corp. dough. Truman. I had forgot about the Russia comment. Thanks for the reminder cause it reminded me of a great sign I saw at the Stewert/Colbert Rally in D.C.
@Aria: I think it’s more a case that “if you didn’t expect this from Palin….you’re worthy of” a Cher “snap out of it” slap (from her Oscar-winning performance in “Moonstruck”—see at http://www.youtube.com/watch?v=0x-fkSYDtUY ). â We hear a lot about the economy but Alaska appears to be doing relatively well—how is Alaska’s economy going to do if oil and gas prices continue to fall? What does Washington need to do to get our economy going? So, NOW Fox fakes concern about “high gas prices” when just 3 short years ago there was concern over “falling” gas prices. I guess that’s what FoxNoise means by “fair and balanced.” Interesting. I can’t even give this one a facepalm because if you didn’t expect this from Palin… YOU’RE worthy of facepalm. Beckerhead steered clear of any of those nasty gotcha questions like “What do you read?” Loved the one on Russia. Obviously Snow Snooki knows all about Russian internal politics because she can almost see Russia from her front porch.